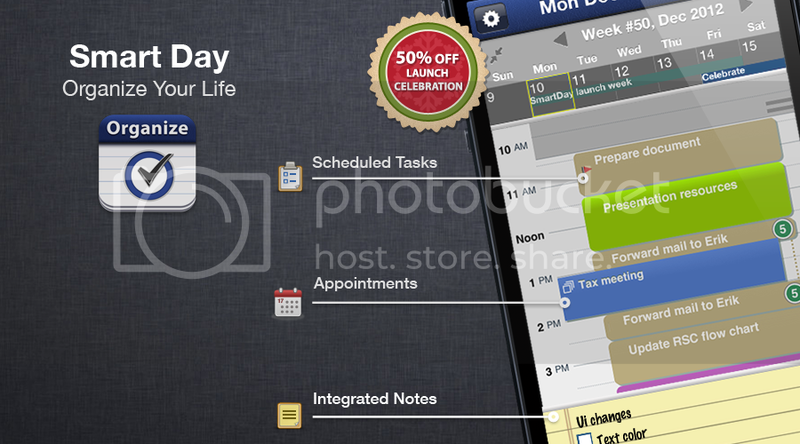 [prMac.com] Seattle, Washington - Left Coast Logic announces the launch of SmartDay 1.0, a flexible organizer for iPhone that provides one-touch integration of appointments, tasks, notes and projects, all in one view - then syncs them through the Cloud to companion organizers on iPad, Mac, and on the Web. The app uses adaptive technology to automatically schedule tasks into the free time between appointments, and keeps them updated as time progresses. To celebrate the successful launch, the company is offering 50% off for a short time only. SmartDay features the company's exclusive SmartTime(TM) logic that automatically arranges tasks into the free time in one's calendar. Tasks are scheduled for the entire next week, based upon their priority in a list that can be filtered and sorted either manually or by applying "smart" pre-sets. Pending items persist in the calendar until marked done, making it impossible to 'miss' a scheduled task. Progress can be monitored by Project category as well. SmartDay features "one-tap" access to view or create detailed notes and check-lists, from any view. Notes can be linked to any task, appointment or date for instant recall. New notes can be dictated using the iPhone's voice feature (iPhone 4s and above). The Calendar shows everything on the current day: appointments, pending tasks that fit, and attached notes. It even allows you to plan from the same view: a pop-down week or month calendar shows busy days and key events. Creating a new appointment is as simple as tapping on a contact's name in the iPhone address book. 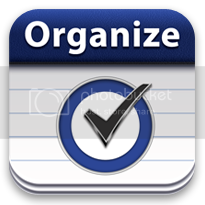 Automatic scheduling of tasks is not exclusive to SmartDay for iPhone. It's also available on SmartDay for Mac OS X, and on SmartPad for iPad. All three sync to the company's cloud hub, mySmartDay.com, which can be accessed from any web browser. "SmartDay for iPhone represents the culmination of our strategy to offer adaptive organizers across all iOS and Mac devices, with the added convenience of viewing on the web," says Michael Jardine, Managing Partner of Left Coast Logic. "In the very near future, we will expand to other devices, and make our web organizer available to anyone, anywhere." SmartDay 1.0 is $2.99 USD (or equivalent amount in other currencies) and available worldwide exclusively through the App Store in the Productivity category. Qualified reviewers may request promo codes. Located in Seattle, Washington, Left Coast Logic designs, develops, and distributes productivity apps for computers and mobile devices. Apps featuring their SmartTime(TM) logic have achieved more than one million downloads. Copyright (C) 2012 Left Coast Logic. All Rights Reserved. Apple, the Apple logo, iTunes, iPhone, iPod and iPad are registered trademarks of Apple Inc. in the U.S. and/or other countries.